Born in Kyoto. Self-taught ukiyo-e style painter. Prints of bijin-ga were usually published by Watanabe Shozaburo; signed Hakuho ga and sealed Hirano. 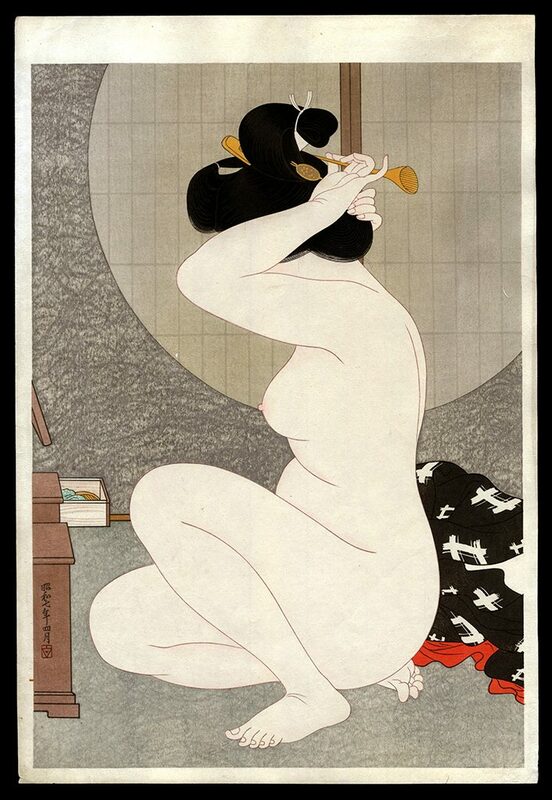 Bijin-ga include After a Bath and Before the Mirror, both 1932. ** Taken in whole, or in part, with permission from: Merritt, Helen and Nanako Yamada. Guide to Modern Japanese Woodblock Prints: 1900-1975. University of Hawaii Press: Honolulu. 1992.